Lilabelle Lane: Lost my mind! It is official, I have gone crazy! I am even moving away from the book and going to use the Software Program. Hope I don't regret software v's book. I would not go near this project but I have. reason my Farmer's Wife got finished. I am all up for friendly banter and encouragement. 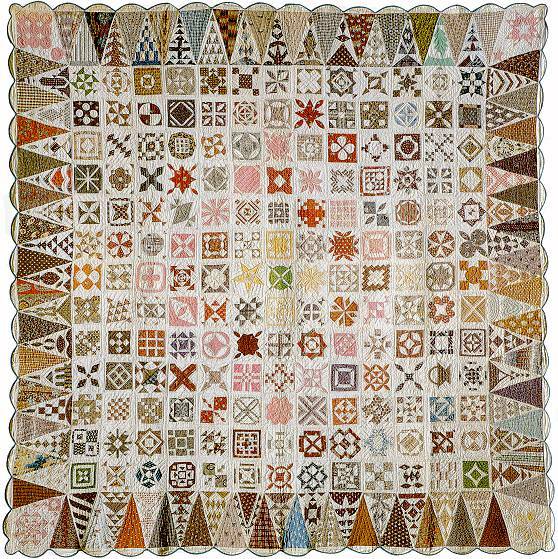 looking at Dear Jane Quilts. So many beautiful and inspiring versions. 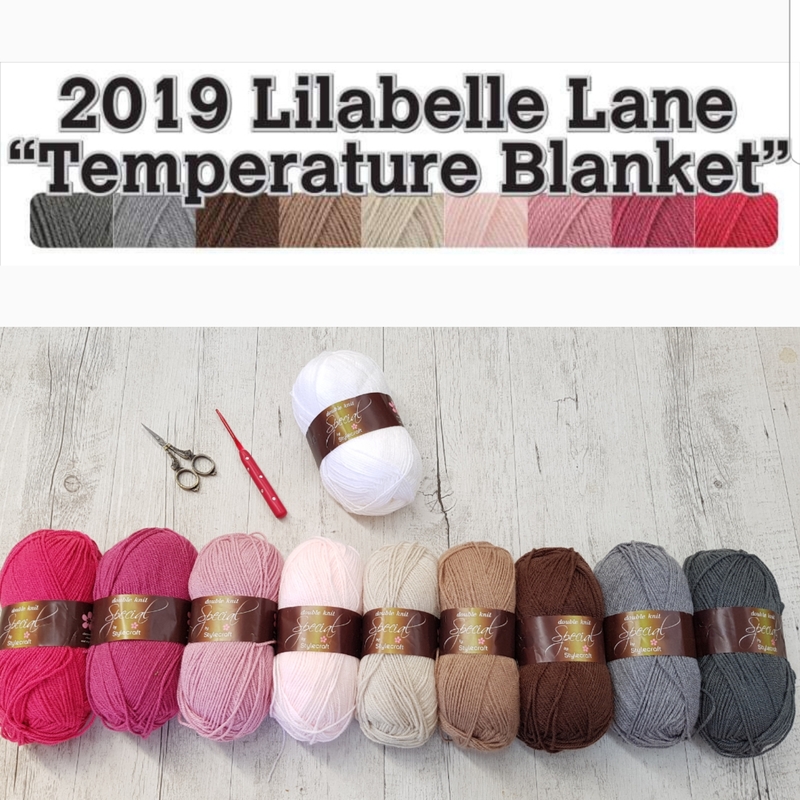 even a Black, White and Grey combination and of course the Rainbow option. at the moment. Might even be able to "scrap bust" on some blocks. or should I go more traditional......aghhhh!!!! I keep coming back to this image though. Have I just answered my own question? LOL!!!! I started 2 years ago....I make 2 or 3 blocks then put it away. It is a very huge project. I have never had any one to make it with. Perhaps I can join you both...and maybe get it done this time??? I am not surprised that this project has attracted your attention. If anyone can do it, you can! The rainbow on white is so you, it looks amazing. I've got a rainbow Jane going. Will finish the blocks this August. Excited about that! I did it on a 2 year track. Going with the software was SMART. I use it 400x more than the book. Lol! I started Jane aeons ago but sadly I don't really quilt anymore as it is all cross stitch these days. She she is relinquishing in aa corner of my house somewhere. Good luck with yours. I bought the book maybe four years ago and that's it.. Good girl for making a start.. I just adore the Rainbow with WHITE background.. I personally love the rainbow white. I bought the book, and wanted to do it with English Paper Piecing. The pieces are just SOOOOO tiny I had no idea. I am afraid I won't be able to do it this way. Do you think it would be possible??? Hi - I'm trying block A-13 EPP - pop over and take a look - eventually I'll update with how it works - 1 quarter of the block done and it's the right size so far! I reckon it's do-able! Oh that is happy crazy. I could have written your post myself......deciding on the style is stopping me too, and every single photo on the web is gorgeous. I think your bright style would be beautiful, and I prefer the white background. Oh my! Is there any hope for you?! I won't tell you which one I like- it might encourage you! 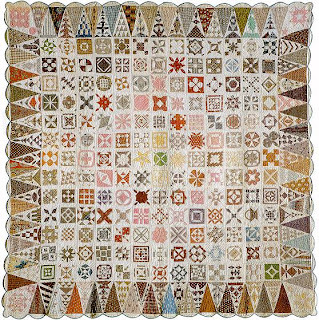 You are as crazy as me, I have the first 4 rows of Dear Jane completed, there is a fabulous blog that has the how to's for each block. I will email you the link. That's funny you should post about Dear Jane - I bought the book, the ruler etc last year and haven't touched it...did the same with the Farmer's Wife...just think I need time for both or I will get confused, lose interest and shove them in a cupboard - a bit like Swoon...good luck with it though. Hi Sharon, I wanted to thank you for the beautiful angel parcel you sent to me but I can't find your email anywhere on your blog - maybe I am going blind.So if you get time you might email me back and I can send a proper thank you email. Thank you so much, Lynda. Oh I love the rainbow one on white! That would definitely be my choice. I am yet to tackle one of these projects but who know, one day I might! Ah Sharon, indeed your mind has departed! No seriously, I love the rainbow on white too... seems to be more 'you' than the other options.? Come on, get going with it girlie, so you can blind us with your cleverness!! 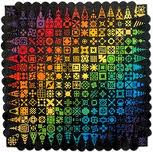 I saw this quilt made up last year at Festival of quilts ,it's fabulous,and a mountain of work. But if anyone can make it ,it's going to be you. hee hee! You can blame me for this, I'm blaming you for the Farmer's Wife - I'm pretty sure I saw it on your blog first! 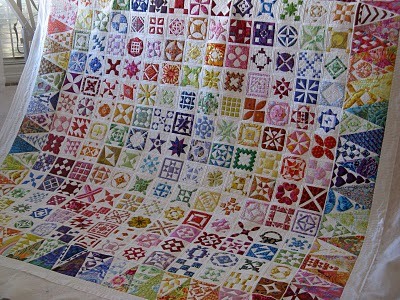 That last picture of the white version with the quilting is gorgeous - definitely rainbow for me! I think rainbow and white - ...and good luck too! 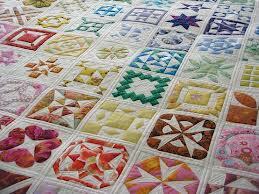 Its a beautiful quilt and well worth the effort too. I like the white or traditional ones. Not really a fan of black but I can see it would be different and effective. Good luck and go for it! I'm sure this so do-able for you. 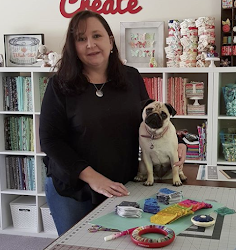 You are a powerhouse when it comes to quilts! I would hazard a guess that you will go rainbow on white. I'll sit this one out, my farmer's wife blocks have retired quietly on the farm for a long spell! Love this quilt so much. I have the software too, but have not started the quilt yet. Not on my list in the near future LOL! Good luck and have fun! I love the traditional but the white is gorgeous too! Ah.. this would be beautiful! I love the white ones.. I am putting this on the list this year too..but I don't know if I'll make it.. LOL.. I do plan to make it rainbowish in white..
Only you can decide which one - though yes I think you have already decided.. personally I love the black rainbow version - but that makes it harder to make. I think a monochromatic colour way would be nice too - like blue & white...Looking forward to seeing your progress. Ohh I like the brighter version, but Id make the reproduction colour one...will be nice to see the progress on this one. You aren't crazy at all - it's on my bucket list. I have the SAME questions as you... The rainbow is beautiful but I'm afraid I will definitely push myself over the edge by picking out fabrics and laying it out the way that looks best!!! I've also struggled with the Black/White. I haven't made a decision there either! I think in the end I will end up with traditional. I have lots of access to repro fabrics in my area so that may just make my final decision for me. Yup. I will be honest. You lost your mind. But I have it on my someday list too. I still need to start my Farmer's Wife! ok did you have show me that!!?? I too have admired thsi quilt for a long time but it was currently off my radar until now!! lol. I think you may be a bad influence - just purchased some new fabric to join you on Girls day out and am about to purchase patterns now........I don't need another quilt.....btw - I think you need to go with your gut feel here, whilst I truly appreciate the repro quilts and their fabrics I think you are thinking about the brighter fabrics alot more when you think of this quilt. Go with your gut. and have fun!